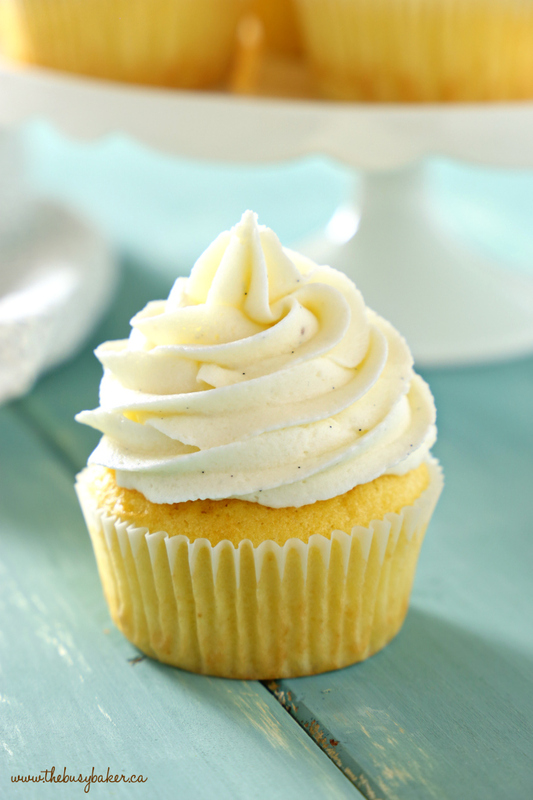 These Vanilla Bean Cupcakes with Fluffy Vanilla Bean Mascarpone Buttercream Frosting are tender and fluffy and topped with ultra creamy mascarpone buttercream frosting made with real vanilla beans! They’re perfect for parties, birthdays, or any occasion at all! Happy Friday friends! What better way to celebrate the arrival of the weekend than cupcakes, am I right?? 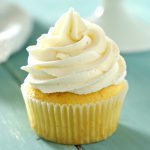 These Vanilla Bean Cupcakes are truly the perfect vanilla cupcakes – the cupcake base is so tender and fluffy and the frosting is so light and creamy with those gorgeous flecks of real vanilla! 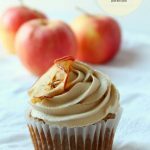 It’s been such a long time since I posted a cupcake recipe here on thebusybaker.ca! 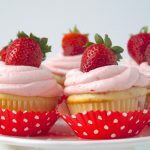 I’ve shared a few of my favourite cupcake recipes before, like these Double Chocolate Cupcakes, or these Pumpkin Spice Cupcakes, or even these Fresh Strawberry Swirl Cupcakes. 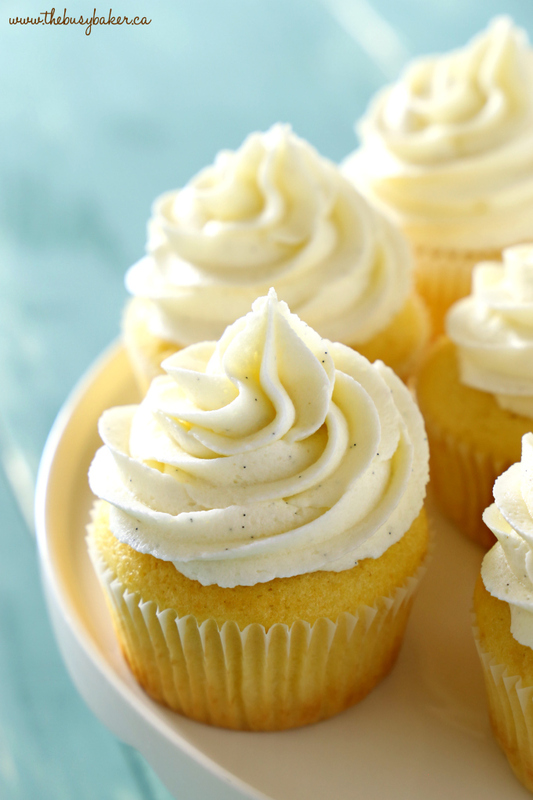 But these Vanilla Bean Cupcakes? They’re truly the best of the best. 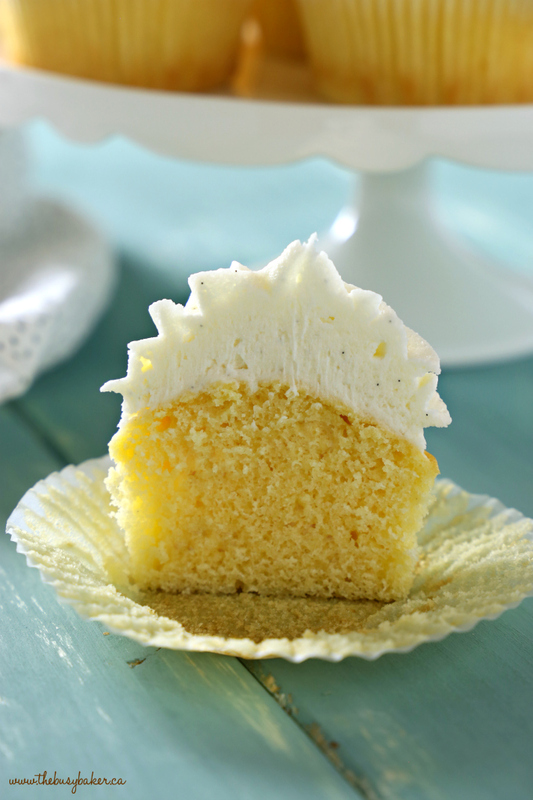 The recipe for the cupcake base is adapted from Chef Anna Olson’s Fluffy Vanilla Cupcakes recipe. 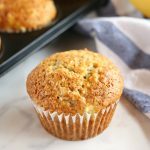 It’s one of the BEST cupcake base recipes I’ve ever come across and I’ve made it hundreds of times. 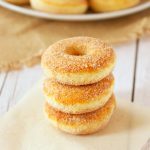 But the frosting recipe I use is one I’ve developed over time – traditional butter, powdered sugar and milk frostings just never seem to work out all that well for me and I’ve taken to adding cream cheese or mascarpone cheese to any frosting recipe I make. 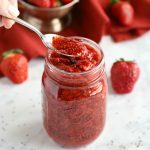 It’s the perfect trick to getting that ultra light and fluffy frosting texture, and it also mellows out the sweetness of the buttercream which, in traditional recipes, can be so overwhelming. And if you’re wondering what kitchen tools are best for making cupcakes, you simply can’t go wrong with the traditional KitchenAid mixer. I have THIS ONE (Amazon affiliate link), and it is by far my favourite kitchen appliance of all time. I’m a bit of a minimalist when it comes to kitchen tools, but I’m not sure I could live without my stand mixer. If you’re not in the market for a big, fancy mixer then this hand mixer (Amazon affiliate link) is the next best thing. They really do a fantastic job and though they do require a little more work on your part, the definitely get the job done in style! Oh, and if you’re looking for a cake stand just like mine, check out THIS ONE (Amazon affiliate link). There’s truly no better way to display gorgeous cupcakes like these than on an equally gorgeous cake stand that’s also affordable! I hope you enjoy this Vanilla Bean Cupcakes recipe! Let me know in the comments below, what’s your favourite cupcake recipe? I’d love to know! 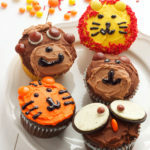 Looking for even more cupcake recipes? 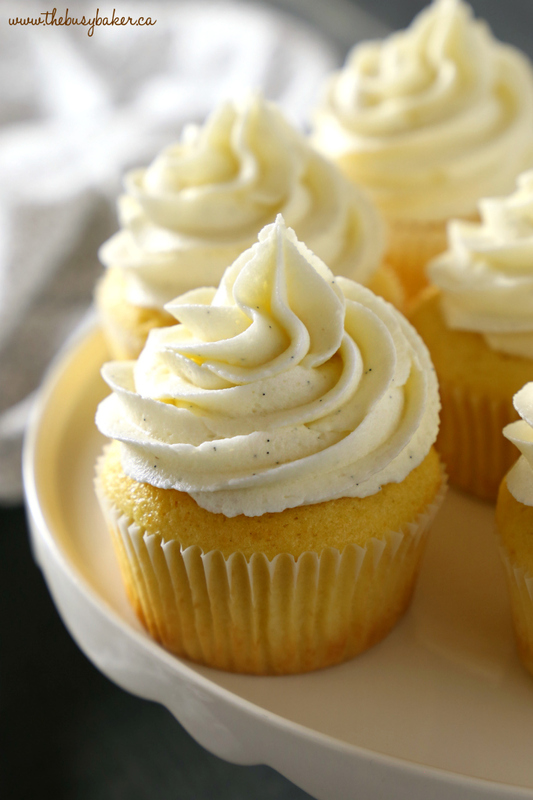 Before you grab the recipe for these Vanilla Bean Cupcakes at the end of this blog post, check out these delicious cupcake recipes below! 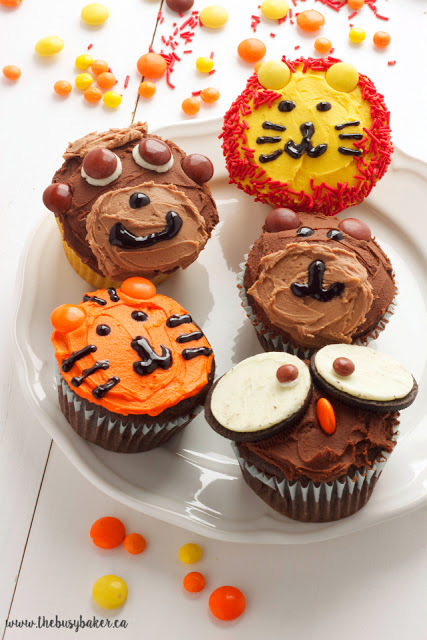 These Zoo Animal Cupcakes are PERFECT for a child’s birthday party! And they’re SO easy to make! 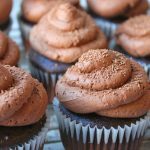 These Double Chocolate Cupcakes with Dark Chocolate Buttercream Frosting are every chocolate lover’s dream dessert! 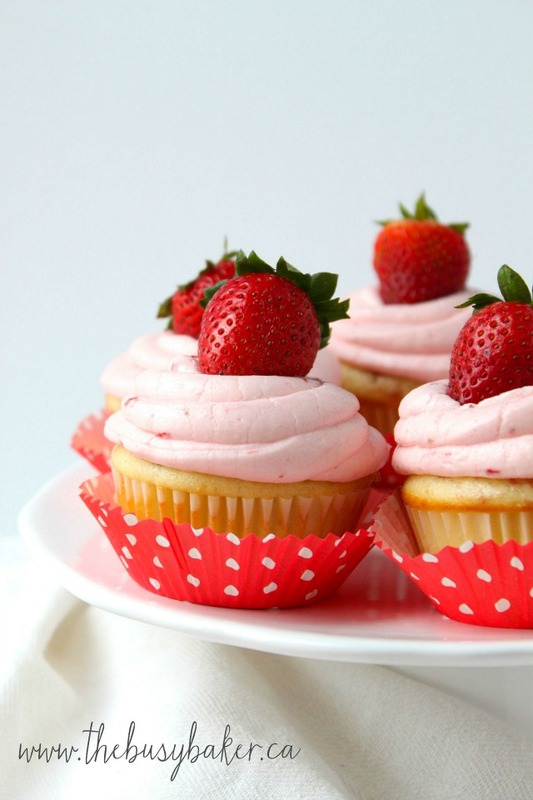 These Fresh Strawberry Swirl Cupcakes are sweet and delicious and perfect for Spring and Summer! 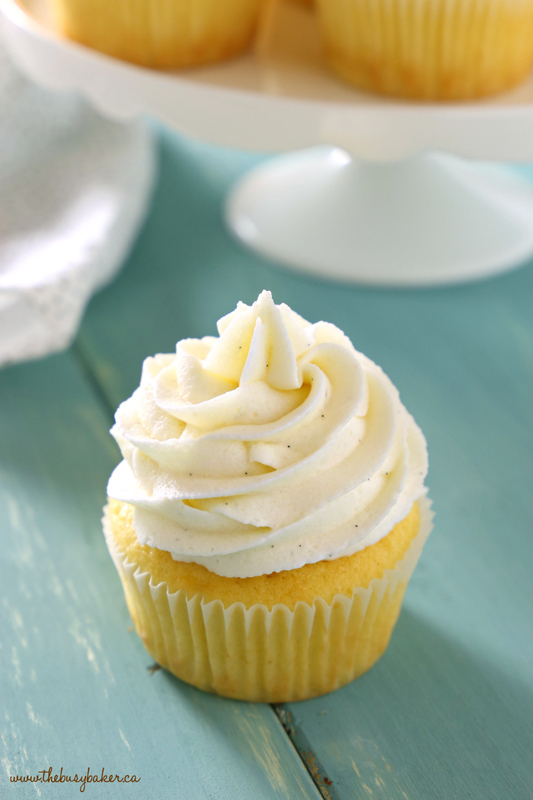 These Vanilla Bean Cupcakes are tender and fluffy and topped with ultra creamy mascarpone buttercream frosting made with real vanilla beans! They're perfect for parties, birthdays, or any occasion at all! Preheat your oven to 350 degrees Fahrenheit and prepare muffin tins with 18 paper muffin cups. Add the butter and white sugar to the bowl of your stand mixer and mix on high speed until light and fluffy, scraping down the sides of the bowl a few times. Continue mixing on high and add the eggs one at a time, stopping the mixer and scraping down the sides of the bowl after each addition. Combine the flour, cornstarch, baking powder, and salt in a medium bowl and set aside. Measure the milk and scrape the vanilla bean seeds into the milk, stirring well to combine. Add the flour mixture and the milk mixture alternatively to the butter mixture, mixing on low speed until everything is added (start and end with the dry ingredients). Mix on high speed for about one minute to ensure everything is combined. Divide the batter between the 18 prepared muffin cups and bake at 350 degrees Fahrenheit for about 17-19 minutes. Whip the butter and mascarpone on high speed until light and fluffy. Add the powdered sugar one cup at a time, whipping on high speed between each addition and scraping down the sides of the bowl. Scrape the seeds out of the vanilla bean and add them to the frosting, along with the heavy cream and salt. Whip on high until well combined, scraping down the sides of the bowl. Add the frosting to a large piping bag fitted with a large star tip and pipe the frosting onto the cooled cupcakes. Store in the fridge for 24 hours before serving, or serve immediately. These cupcakes keep in the fridge for up to 2 days in an airtight container. 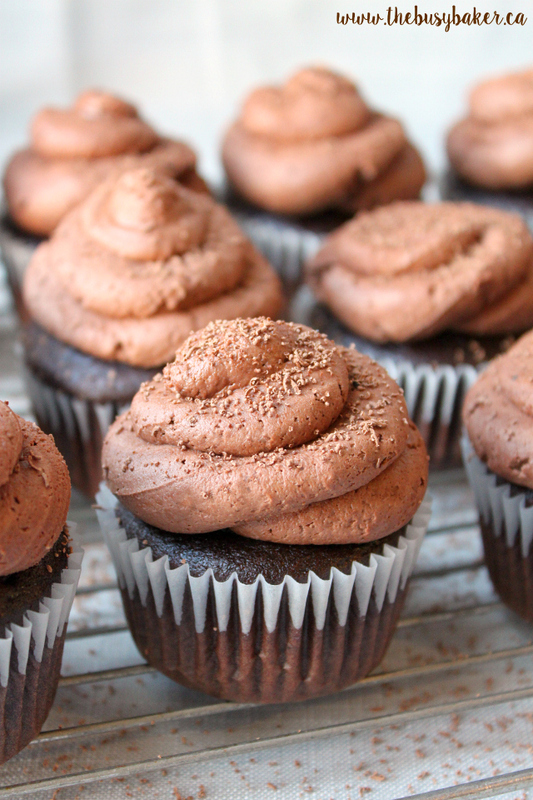 These cupcakes freeze well before they're frosted, and keep in the freezer for up to 3 months. Simply thaw and frost before serving. These sound amazing!! 🙂 A couple ideas for the leftover vanilla bean pod (since it’s not cheap on this end of the world), Cut it in half and put into some sugar. Let sit for a few days and shake it up. Sit, shake sit shake etc… 2 weeks later you have vanilla sugar! also, dice it up and put it in some vodka to make home made vanilla extract. honestly, i’d likely puree the whole bean into my milk with my blender. But I’m cheap like that lol! Great ideas! I save mine and use them in my Homemade Earl Grey Tea Latte recipe! It’s AMAZING with fresh vanilla bean!